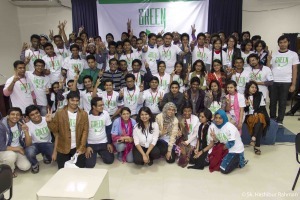 JCJ supported The BGreen Project conference in Bangladesh which took place in January 2015. Photos and more information are on the BGREEN Facebook page. We were delighted that Kanchana Weerakoon, then JCJ vice president, could attend from Sri Lanka. 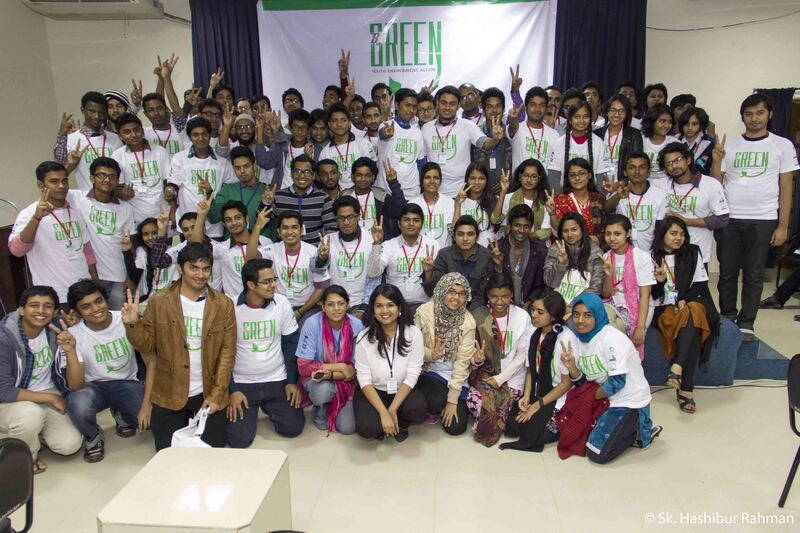 The Youth Action Conference in Dhaka in January 2014 was a great success. JCJ kicked in $600 in support. The aim was to create awareness, dialogue and knowledge sharing across diverse class, social, cultural and educational backgrounds about the environmental issues at hand and generate solutions collectively. Over 100 youth attended from diverse backgrounds. Next step – to support the youth to kick-start micro projects that target environmental and climate change threats. Check out The BGreen Project website and facebook page. JCJ supporters like Michael Chew are also active in Friends of Bangladesh. They are a driving force behind the Climate Caravan, which is taking place over November 2014 in Bangladesh, India and Nepal. This project was run by JCJ over March/April 2013 in Bangladesh to empower and inspire the local grass-roots community to respond to the challenges of climate change. Bangladesh is one of the most vulnerable nations in the world to a changing climate, despite having amongst the lowest per-person carbon footprint on the planet, and having little capacity to adapt and cope. 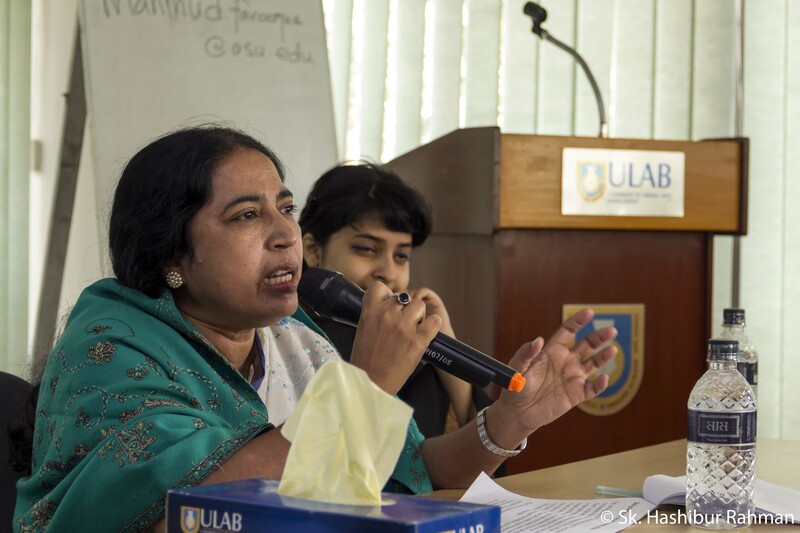 JCJ-volunteer Pat Kirkby worked tirelessly in Dhaka to provide free training activities on climate change, sustainability and environmental leadership, for youth, NGOs, professionals and grass-roots communities. Amongst these activities were a JCJ ‘Climate Solutions Conference’, numerous youth environmental leadership workshops, and Bangladesh’s biggest ever Earth Hour event, which brought together hundreds of bike riders and concerned climate activists. These events generated mass media attention and overwhelming local support. JCJ also selected 3 aspiring youth climate activists to visit climatically vulnerable areas of rural Bangladesh, where the team worked with local grass-roots organisations to develop initiatives that are driving long-lasting change in these climatically-devastated poor rural villagers. Through the strong networks that JCJ has built in Bangladesh, we continue to foster and support ongoing environmental initiatives run by local youth. JCJ also sits in an advisory role to Bangladesh’s two preliminary youth climate organisations, the Bangladesh Youth Movement for Climate (BYMC) and the BYEI (Bangladesh Youth Environmental Initiative). Photos of the project can be found on JCJ’s Facebook Page. Check out the project’s facebook page to stay tuned with climate events in Bangladesh. Bangladesh comprises the largest river delta on Earth, where the Himalayan watersheds converge at the Bay of Bengal. This low-lying nation harbors a dense human population. Two-thirds live in poverty. Bangladesh is commonly referred to as the most vulnerable nation in the world to climate change. Bangladesh is particularly vulnerable to climatic pressures including sea level rise, tropical cyclones, tidal surges, monsoonal flooding, seasonal drought, and salinization. Sea level rise alone threatens to displace approximately 20 million people from the coastal area by 2050. The capacity of Bangladeshis to adapt and cope with climate change is generally very low, and is undermined by widespread poverty, poor governance, weak institutional support, poor access to resources, reliance on climatically sensitive natural resources, and inadequate infrastructure.